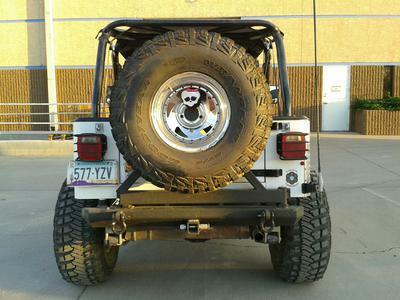 My 1993 YJ has been modified with a Ford 8.8 rear axle and the front has been changed to a solid axle. Both geared to 4.88, an ARB locker in the front and a Grizzly in the back, runs on 35" tires, custom rear driveshaft, plus a 4:1 Teralow transfer case. The only thing I do not like about my Jeep is that it is a 4 cyl. It is a dog getting to trails, but I can go where ever my offroad club goes. I am a member of the Copperstate4Wheelers. I serve as the club coordinator during our events with the Tonto National Forest and the Tonto Recreational Alliance. I grew up in Southern California riding Three Wheelers and Quads. 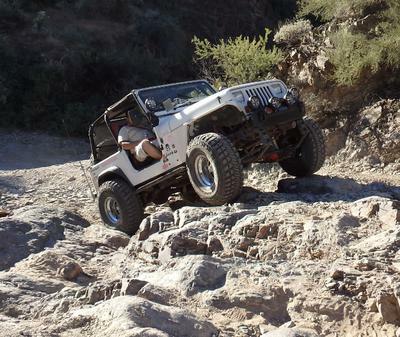 Since moving to the Phoenix Valley, I became more interested in rock crawling and now I am a full blown junkie. 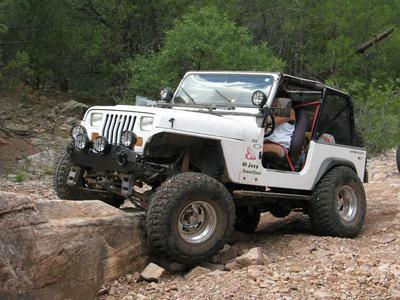 I especially love to be one of the very few female drivers that are out on the trails conquering the obstacles. In the past few years I have learned so much about wheelin', and respecting the trails in the forest that we frequently visit. 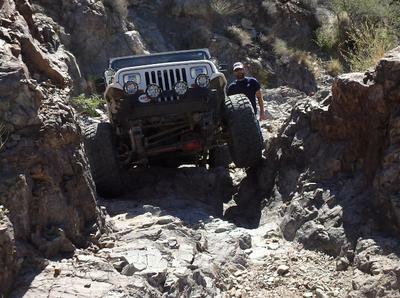 Editor's Comment: Nice looking YJ, Jen B. I know what you mean about the 4-cylinder on the highway, but like you, I have seen the little 4-bangers stay up with the big guns on the trails.